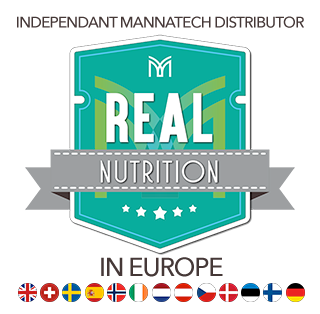 Mannatech receiving 100 patents is an exceptional accomplishment for a company in the nutritional supplement industry. Mannatech, compared to many of its competitors, invests heavily in a robust research and development program to create its unique technology and formulations. With many of its formulations patented in multiple major global markets, Mannatech can exclude others from exploiting certain Mannatech patents and provide its customers with high value, quality products that stand out in the nutritional supplement crowd. The company’s 100th patent was issued in Korea for its PhytoMatrix® product, an all-natural multivitamin and multimineral dietary supplement formulation. The Certificate of Grant for Mannatech’s PhytoMatrix formulation in Korea was received on Nov. 18, 2014, just 11 days after the 99th company patent was issued for the PhytoMatrix formulation in Japan on Nov. 7, 2014. The patent will remain in effect for 20 years from the date of filing. There are now eight patents issued in major global markets to Mannatech regarding the PhytoMatrix technology. Overall, 100 patents have been issued, granted and validated in major global markets to the company for the technology pertaining to its Ambrotose®, Ambrotose AO®, GI-ProBalance®, and PhytoMatrix product formulations and in the field of biomarker assays. Mannatech’s unique PhytoMatrix formulation has been on the market since 2006. It is one of the few vitamin and mineral supplements available that contains minerals from hydroponically grown Indian Mustard plant and food-sourced vitamins and phytonutrients from fruits and vegetables. PhytoMatrix is gluten-free and suitable for vegetarian diets.